What Is a Stock Split in Investing? When you begin to invest in stocks, you will someday encounter something known as a stock split. New and inexperienced investors tend to mistakenly believe stock splits are inherently a good thing in and of themselves, as if a stock split alone somehow makes them wealthier, which simply isn't true. A stock split is nothing more than an accounting transaction designed to make the nominal quoted market value of shares more affordable. In the case of something like a 2-for-1 stock split, it's economically akin to walking into a bank and exchanging a $20 bill for two $10 bills. You still have exactly what you did before it occurred despite it being measured differently. Here's an overview of what stock splits are, how they happen, what purpose they are intended to serve, and how you should feel about them. When a corporation's common equity is divided into pieces, these pieces are known as shares of common stock. Let's imagine you start a lemonade stand. You capitalize the business by having your newly formed enterprise issue 100 shares of stock for $100 per share. This gives the business $10,000 in start-up capital: capital used to buy ingredients, lease a little space in the nearest shopping mall, pay for signage and hire your first employee. Your lemonade stand does extraordinarily well, and before long, you expand it into a line of fruit juices. You open additional locations. You franchise the concept and are suddenly collecting royalties on hundreds of units throughout the world. Ten years later, you find your company generating operating income of $1,000,000 per year. At a reasonable valuation rate, and with your current growth trajectory, you might be worth $12,000,000 should you decide to sell it. You've never issued more stock so each of those 100 shares, which represent 1/100th ownership of the business, or 1 percent, are really worth $120,000 despite having $100 in original paid-in capital and capital contributed in excess of par behind it. You have five children to whom you want to gift shares; however, you don't want to give each of them a full share worth $120,000, in part because it would exceed the annual gift tax exclusion allowance. Instead, you call a meeting of the board of directors and decide to declare a 10-for-1 stock split. In essence, the corporate decides to divide itself into more pieces and sends out the newly issued shares as a type of special dividend to the existing owners in proportion with their ownership of the firm. By the time it is all done, for every one share you owned before the stock split, you will own 10 shares after the stock split (hence the "10-for-1" part). In this case, you'd get freshly printed stock certificates for 900 new shares, bringing your total to 1,000 shares, which represents 100 percent of the company's outstanding stock. The business is still worth $12,000,000. However, it is divided into 1,000 shares. That means each share is worth 1/1,000th of the company, or 0.10 percent, which works out to $12,000. Each share's original paid in capital and capital in excess of par value is $10, since that was adjusted, too. You gift one share of the post-split stock to each of your 5 children, keeping the other 995 shares for yourself. Publicly traded companies, including multi-billion dollar blue chip stocks, do this all the time. The firms grow in value thanks to acquisitions, new product launches and share repurchases. At some point, the quoted market value of the stock becomes too expensive for investors to afford, which begins to influence the market liquidity as there are fewer and fewer people capable of buying a share. The most extreme example in history is Warren Buffett's holding company, Berkshire Hathaway. When Buffett began buying the stock to take control back in the 1960's, he paid $8 or less for some of his shares. He never split the stock. In the past year, those shares have traded between $186,900 and $227,450 each, far outside of the realm of a vast majority of investors in the United States and, indeed, world. Instead, he eventually created a special Class B shares and called the original shares Class A. This is an example of a dual-class structure. The B shares originally began at 1/30th of the Class A share value (you could convert Class A shares into Class B shares but not the other way around). Eventually, when Berkshire Hathaway acquired one of the largest railroads in the nation, the Burlington Northern Santa Fe, it split the Class B shares 50-for-1 so that each Class B share now represents 1/1,500th of the Class A shares. The Class A shares have voting rights, the Class B shares have none. Companies can split their stock on almost any mathematical ratio they desire. The most common type of stock split is a 2-for-1 stock split, though other formulas are used such as a 3-for-1 stock split, a 2-for-3 stock split and 10-for-1 stock split. What Are Some Reasons for a Stock Split? 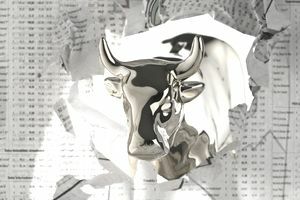 Aside from the per-share nominal affordability we've discussed, there are a handful of other benefits of stock splits, including the aforementioned liquidity increase (more shares being bought and sold in the market so investors can increase or decrease their position without having to wait extended periods of time or experiencing large bid and ask spreads). The important thing to understand is that the stock split itself does not make you, the owner of the common stock, any richer. You still own the same percentage of the firm you did before -- the same pro rata cut of the sales and profits. Many inexperienced investors mistakenly believe stock splits are a good thing is because they tend to mistake correlation and causation. When a company is doing really well, a stock split is almost always an inevitability as book value and dividends grow. If a person sees or hears about this pattern frequently enough, the two may become associated in the mind. Much rarer, and almost always occurring due to a disaster or struggle with the business to avoid being delisted from a major stock exchange, a reverse stock split is the opposite of an ordinary stock split. The purpose is to raise the nominal price of each share.